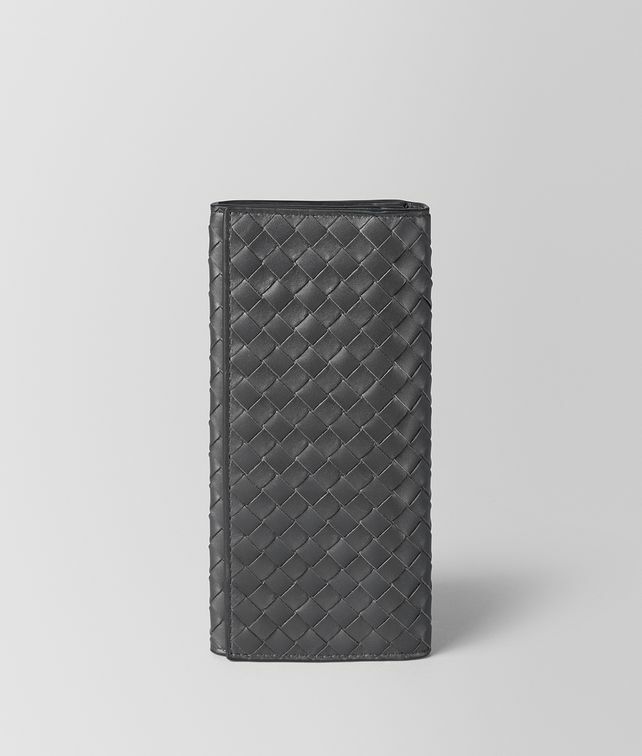 This slim, sophisticated continental wallet is hand-woven from premium VN calf leather. This practical design features an external pocket and a smooth leather interior, containing 8 credit card slots, a note compartment and 3 flat pockets. Snap button closure and subtly embossed branding. Height: 18 cm | 7.1""
Width: 9 cm | 3.5""